Meet the H·MAC Burger; a Tasty Burger That You Deserve! It’s burger season! If you’re new to H·MAC’s Kitchen, try the H·MAC Burger. 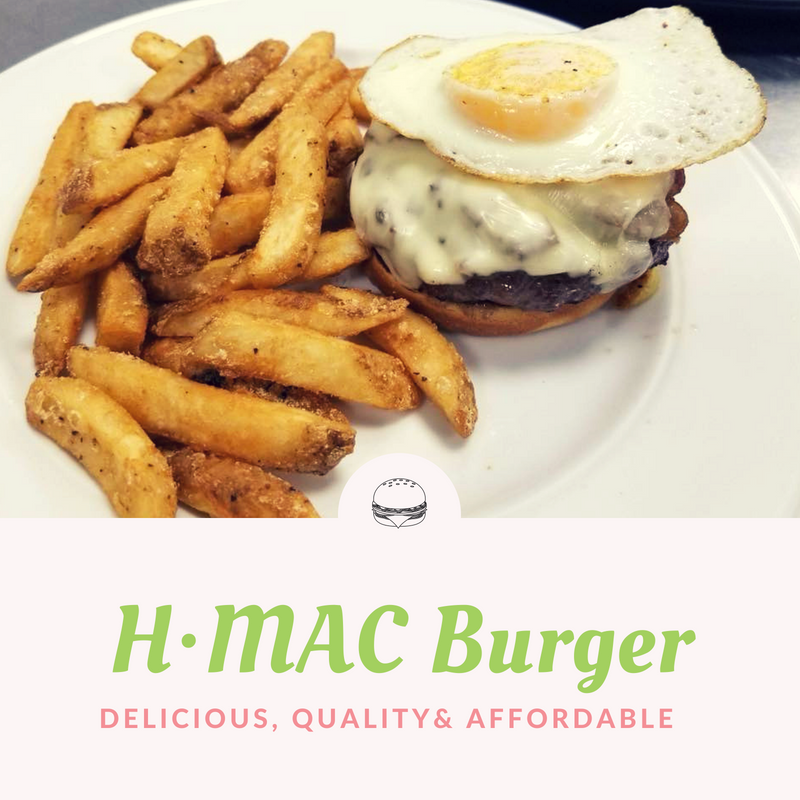 The H·MAC Burger is a delicious quality burger, that is $14.00. The burger includes a choice of French fries, Chips or Cole Slaw for the side. The Burger is a half-pound grilled burger, with Shallot Jam, Applewood Smoked Bacon, Fried Egg, American Cheese, Lettuce, Tomato, Onion on a Brioche Roll. For your next dinner out, stop by H·MAC for a chance to try our burger. Happy burger-ing! Follow us on our social media channels, to stay updated on the menu and specials going on at H·MAC!